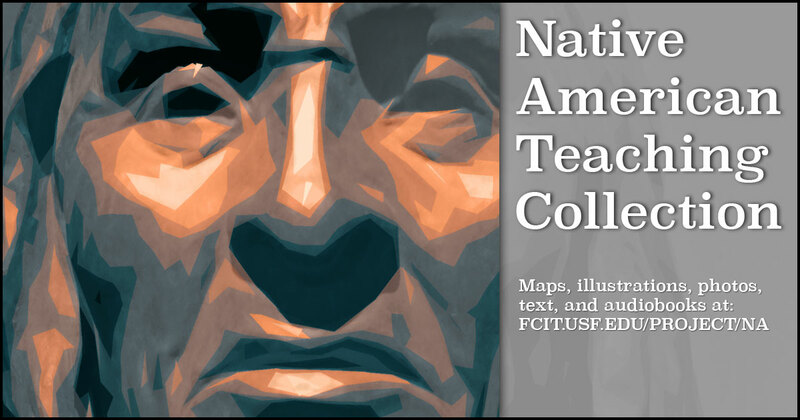 FCIT’s Native American teaching collection includes maps, reading passages, illustrations, and photos related to Native Americans. Many of the resources refer specifically to the history of Native Americans in Florida. 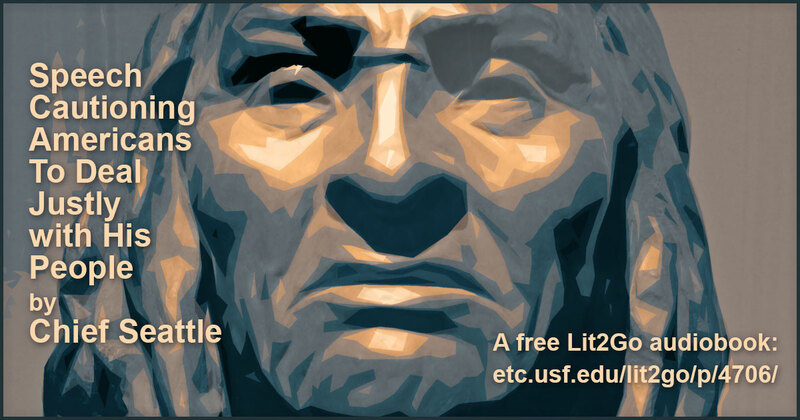 Use this banner on social media to share FCIT’s collection of Native American resources. 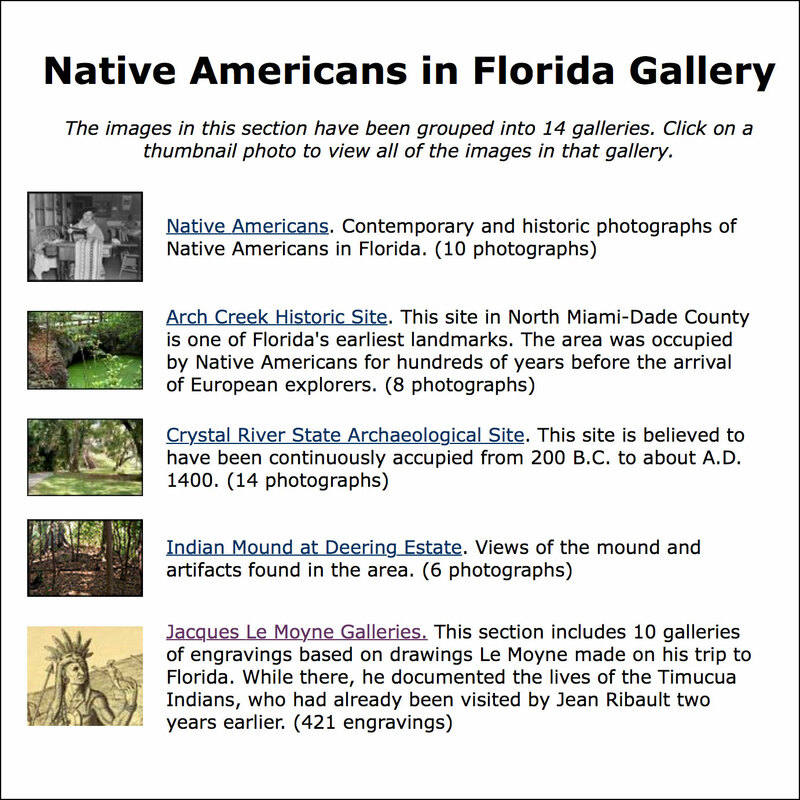 Fourteen galleries of photos and illustrations related to Native Americans in Florida including LeMoyne’s drawing of the Timucua, the Crystal River State Archaeological Site, the mind at the Deering Estate, Lake Jackson Mounds, Letchworh Mounds, Madira Bickel Mound, Miccosukee Nation, Ortona Mound, and the Portevant Indian Mound. 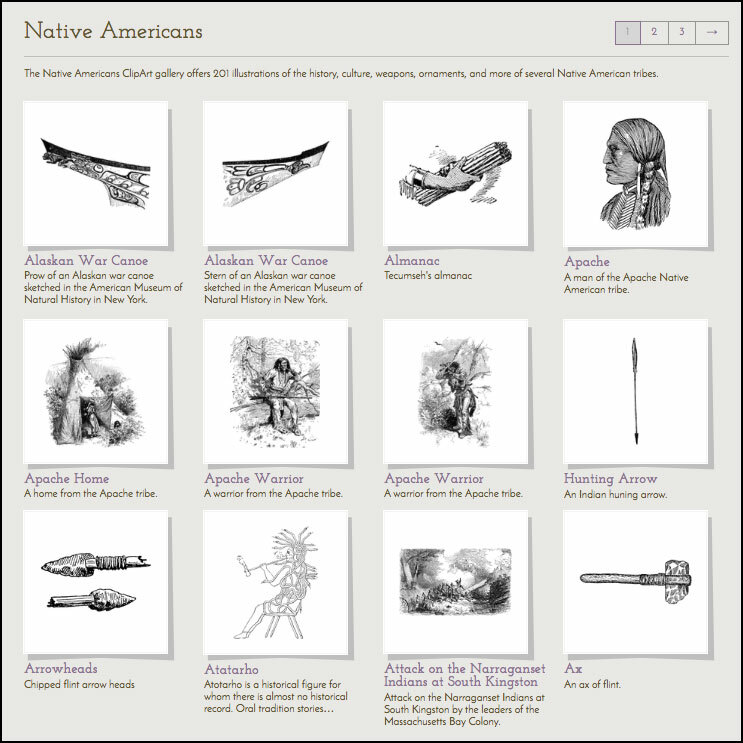 Two hundred illustrations of Native Americans and their customs, housing, and other artifacts from the ClipArt ETC website. 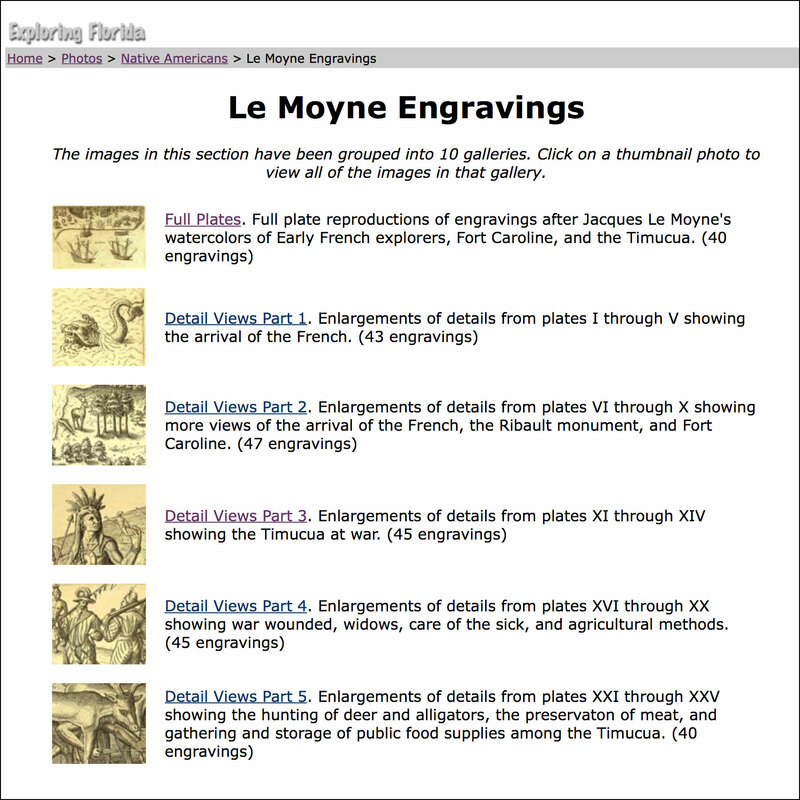 Hundreds of detail views of LeMoyne’s illustrations of the Timucua from the Exploring Florida website. 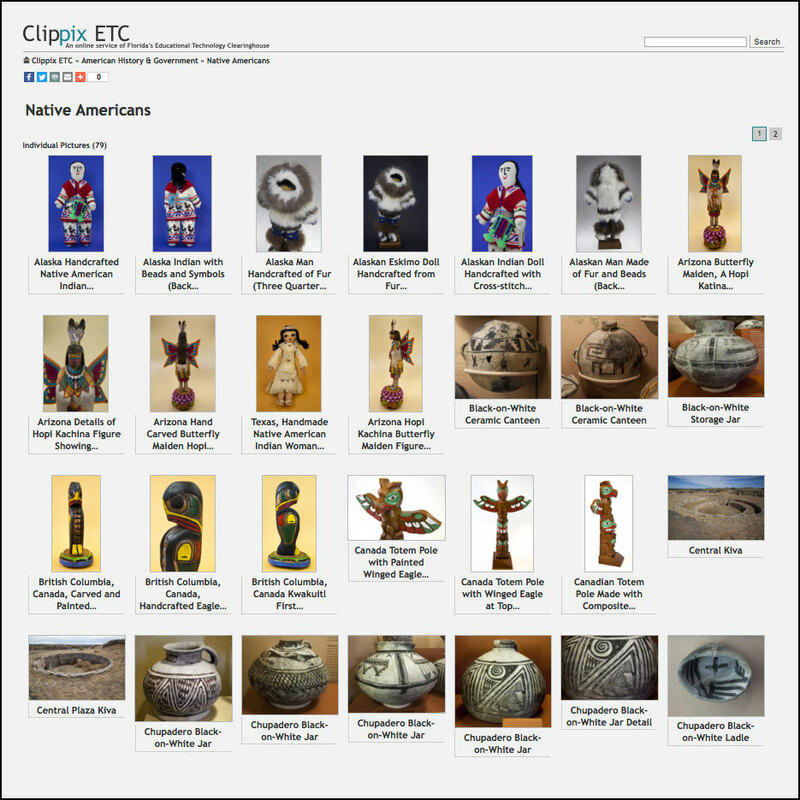 The Native American ClipPix gallery includes a mix of pottery, dolls, and architectural ruins. 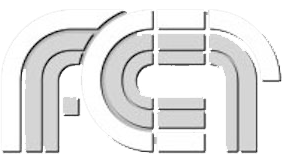 Photographs from the ClipPix ETC website. 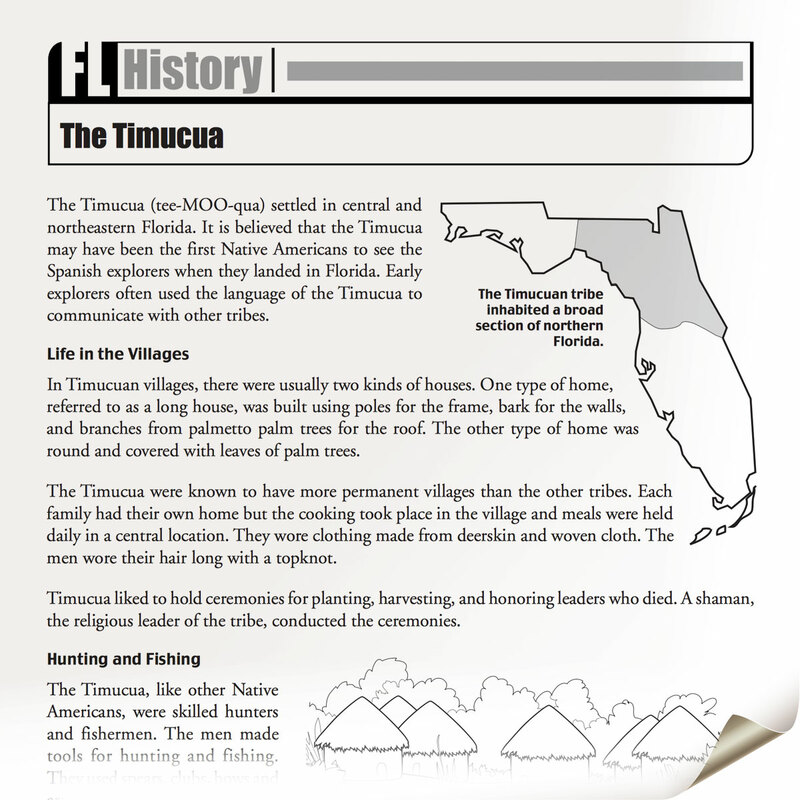 Two-page PDF about the Timucua from the Florida Then and Now section of Exploring Florida. All the passages of Florida Then and Now are written at the upper elementary level. 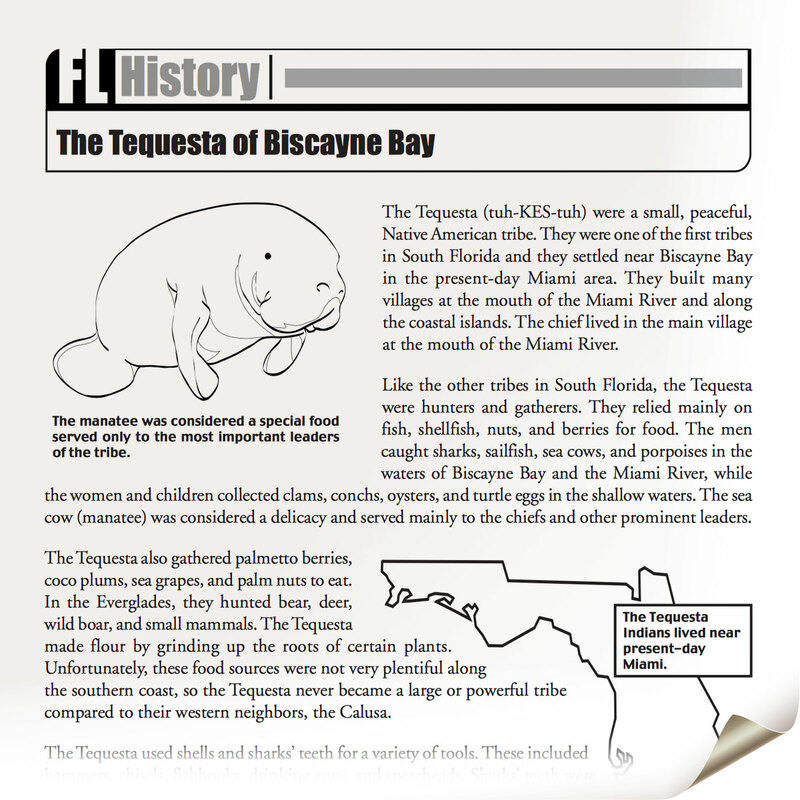 Two-page PDF about the Tequesta from the Florida Then and Now section of Exploring Florida. All the passages of Florida Then and Now are written at the upper elementary level. 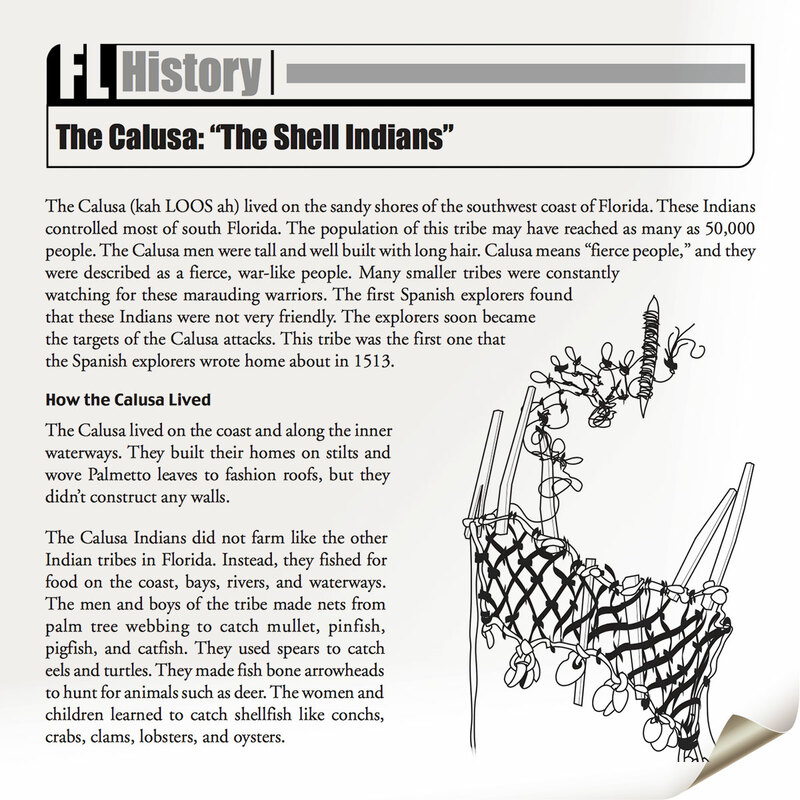 Two-page PDF about the Calusa from the Florida Then and Now section of Exploring Florida. All the passages of Florida Then and Now are written at the upper elementary level. Two-page PDF about the Tocobaga from the Florida Then and Now section of Exploring Florida. All the passages of Florida Then and Now are written at the upper elementary level. 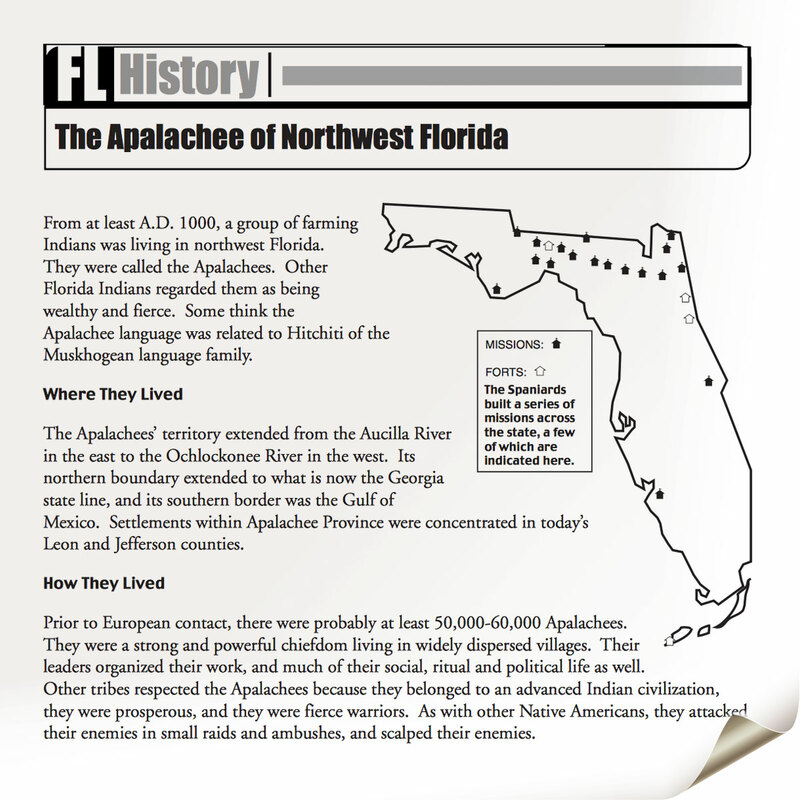 Two-page PDF about the Apalachee from the Florida Then and Now section of Exploring Florida. All the passages of Florida Then and Now are written at the upper elementary level. 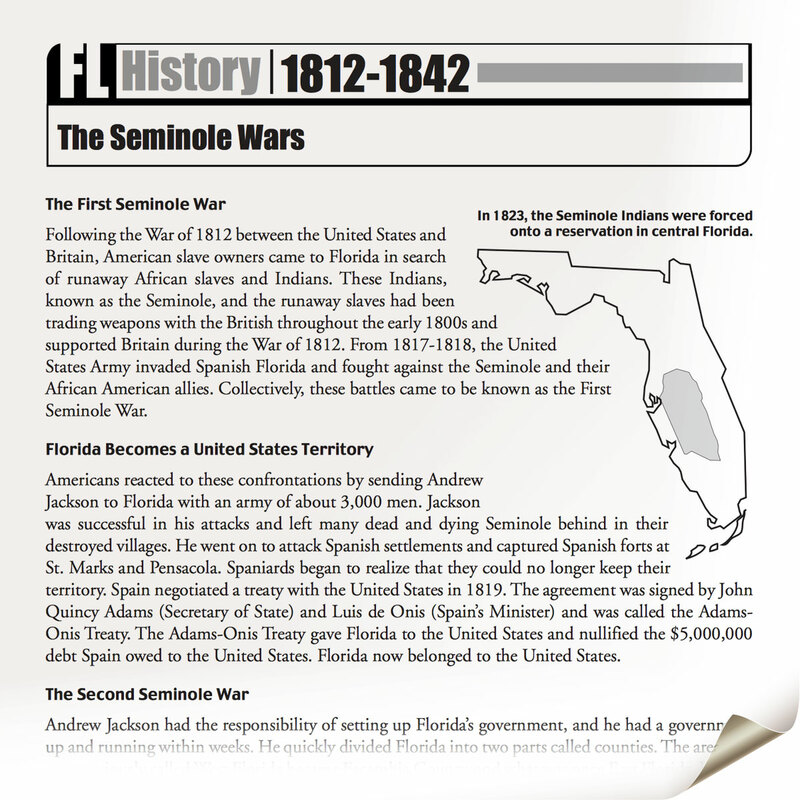 Two-page PDF about the Seminole Wars from the Florida Then and Now section of Exploring Florida. All the passages of Florida Then and Now are written at the upper elementary level. 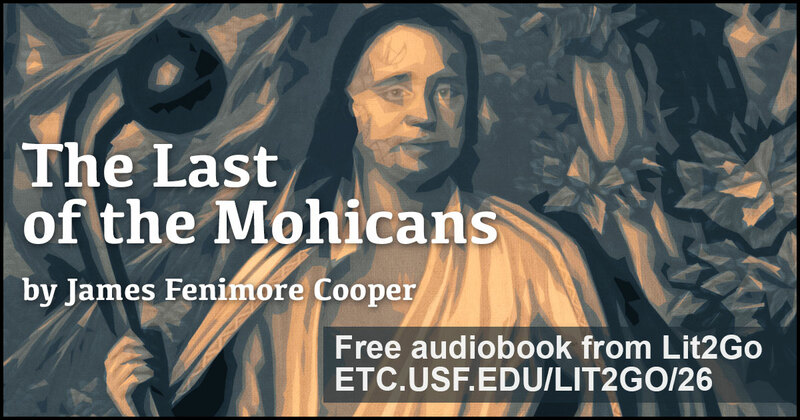 The Last of the Mohicans by James Fenimore Cooper is a novel that takes place during the French and Indian War following the adventures of Nathaniel “Natty” Bumppo and his two Mohican companions as they attempt to rescue the daughters of a British commander. Listen to the Lit2Go audiobook. Chief Seattle was a Duwamish chief, also known as Sealth, Seathle, Seathl, or See-ahth, and a leader of the Suquamish and Duwamish Native American tribes in what is now the U.S. state of Washington. Listen to this speech from 1854 on the Lit2Go website. Duration: 10 minutes 44 seconds. 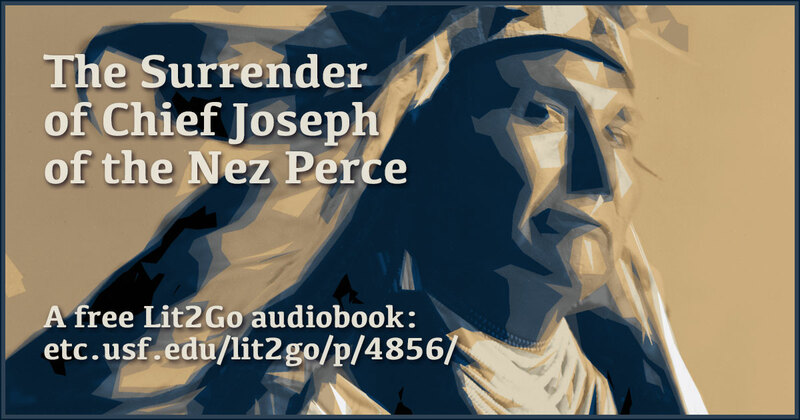 Chief Joseph of the Nez Perce surrenders to General Nelson A. Miles in October of 1877. A short passage from the Lit2Go website. Duration: 1 minute 28 seconds. 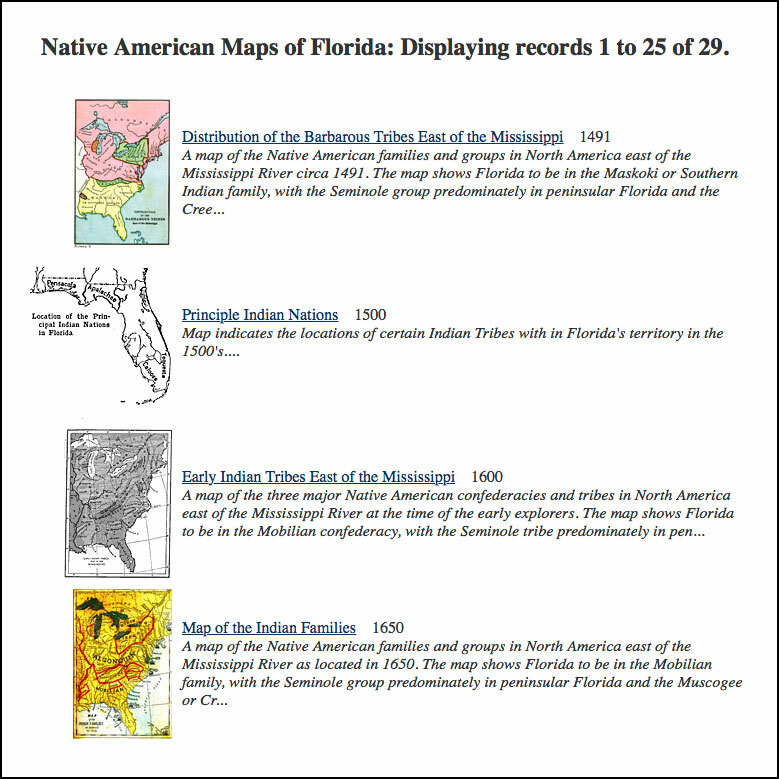 Several dozen maps showing Native American locations in Florida, from the Exploring Florida website. 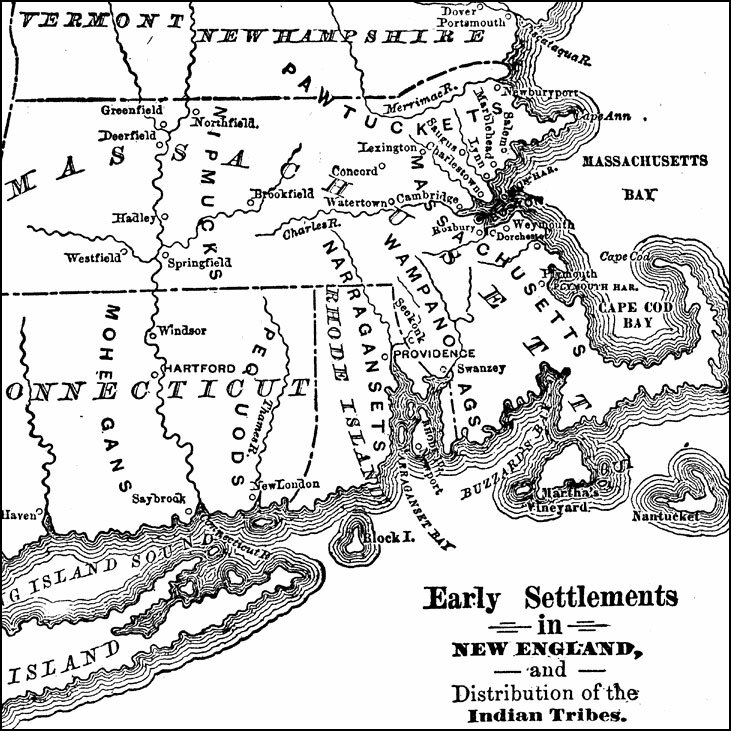 A map of the Dominion of New England (1686), showing the early settlements and the general tribal lands of the Pawtuckets, Massachusetts, Wampanoags, Narragansets, Nipmucks, Pequods, and Mohegans. 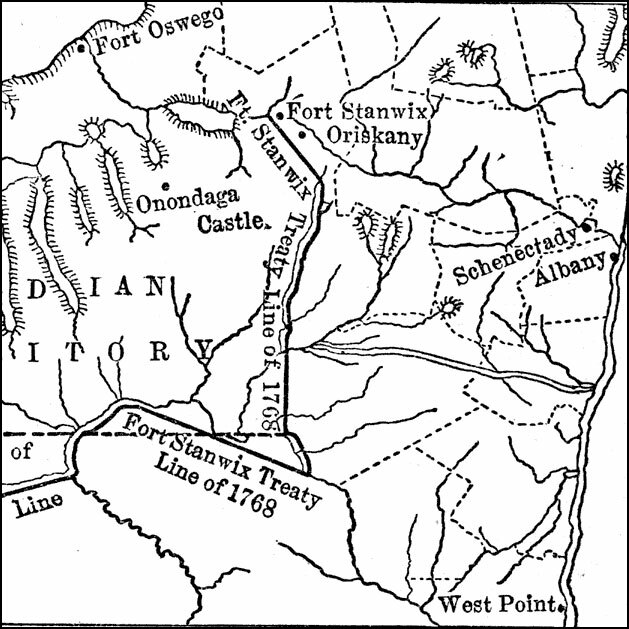 A map of the Finger Lakes region of Upstate New York showing the Iroquois Six Nations lands as established by the Fort Stanwix treaty of 1768. The map show the expansion of English colonial settlers into the upper Hudson River Valley area, including the building of forts and the settlements of Albany, Schenectady, and Oriskany. 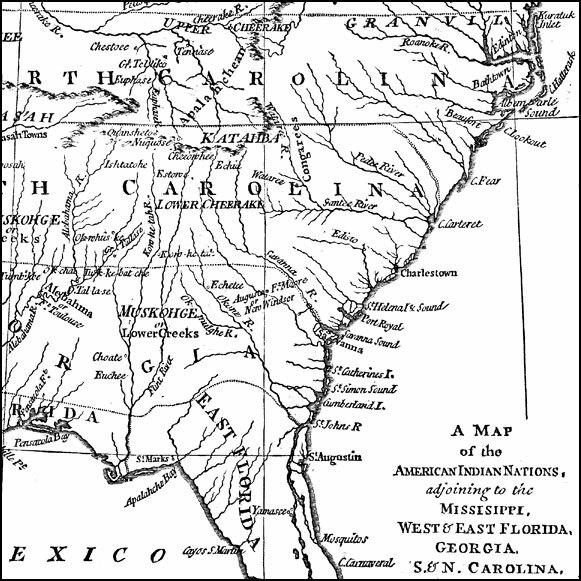 An early map of the southeastern North America around 1776, showing the American Indian Nations of the region at the time. 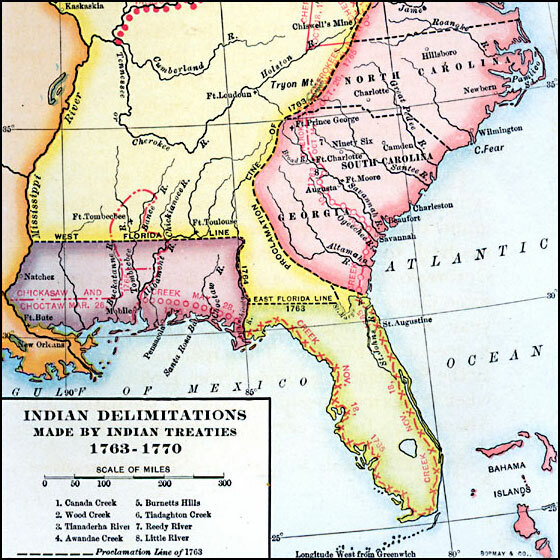 The map shows colonial boundaries extending from the Atlantic coast to the Mississippi River, towns, forts, and rivers. A map of the American colonies and territories west to the Mississippi River between the end of the French and Indian War of 1763 and the beginnings of westward expansion of the trans–Appalachian colony proposed in the Vandalia Project (1770), shortly before the American Revolutionary War. The map shows the proclamation line of the British colonies established in 1763 that defined the western boundary of the colonies along the watershed divide of the Appalachian Mountains, and the various delimitation lines of Native American lands established by treaties between 1763 and the Treaty of Lochaber between Britain and the Cherokee (1770). A map of the area around the Wabash River showing the sites of the American Indian Wars between 1790 and 1811, including the Northwest Indian War (1785–1794) and Tecumseh’s War (1810–1811). The map shows the forts and rivers of the area, including the Maumee River, site of the Battle of Fallen Timbers near present day Toledo (August 20, 1794), and Tippecanoe River, site of the Battle of Tippecanoe near Prophetstown (November 7, 1811). 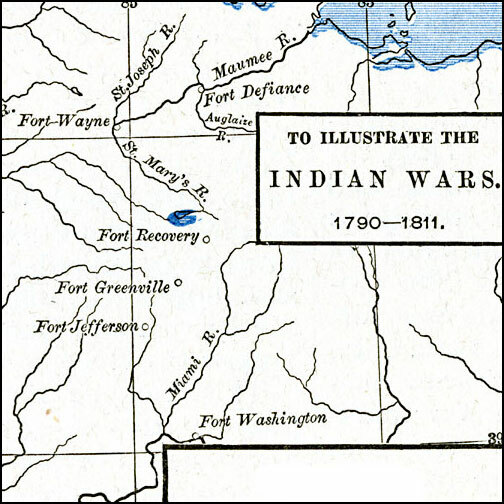 A map of the area in Ohio showing General Anthony Wayne’s campaign against the Indians during the Northwest Indian War (1785–1795). 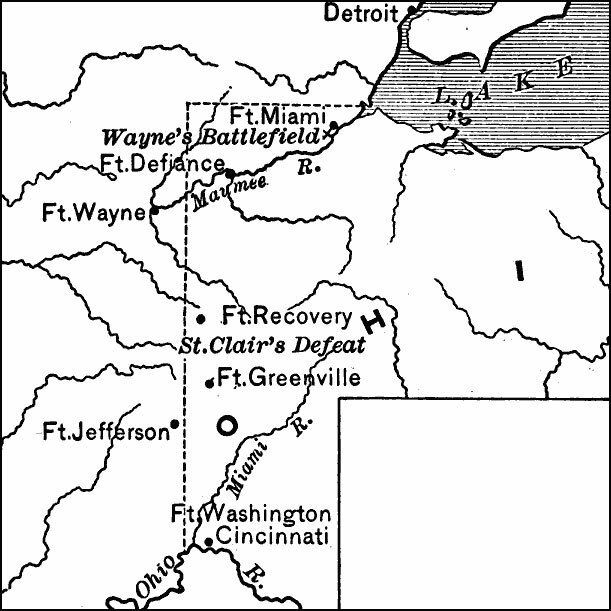 The map shows the site of General Arthur St. Clair’s defeat near Fort Recovery (November 4, 1791), the sites of Fort Miami, Fort Defiance, Fort Wayne, Fort Recovery, Fort Greenville, Fort Jefferson, and Fort Washington, and the site of Wayne’s battlefield on the Maumee River, known as the Battle of Fallen Timbers (August 20, 1794), the final battle of the Northwest Indian War. From the Maps ETC website.